We Care for Animals (WCFA) is a 501(c)(3) non-profit animal rescue organization located in Mesquite, Nevada near the Nevada-Arizona Strip border. WCFA is a foster-based rescue; we do not have a facility. Our cats and dogs are in foster care until adoption. Our service areas are Mesquite and Bunkerville, Nevada and the Arizona Strip communities of Scenic, Littlefield, Beaver Dam and Desert Springs. We find quality homes for homeless companion animals, provide low-cost or free spay and neuter for pets of qualified pet owners in the areas mentioned above, as well as assistance with Trap, Neuter and Return (TNR) of community (feral and free-roaming) cats. You can help save community cats in your neighborhood by becoming their caregiver and getting them spayed and neutered with our assistance. Contact us for more information by leaving a message at 702-346-3326 or send us an email here. I have been involved in animal welfare and rescue for 20 years. I first served as Secretary on the Board of Directors of Southwest Washington Humane Society for seven years. 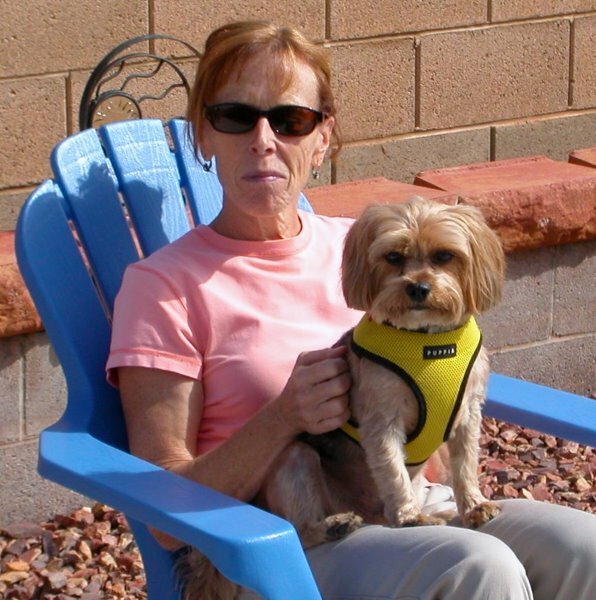 My husband, Gary, and I moved to Mesquite in 2000 and we joined We Care for Animals shortly thereafter. I am involved in pet adoptions, fostering dogs/puppies and cats/kittens, creating forms, grant writing, tabling, fundraising events, spay/neuter assistance program, and helping out as needed. Gary has been a helpmate with all the animals coming through our home and also helps out at pet adoptions, special events, etc. 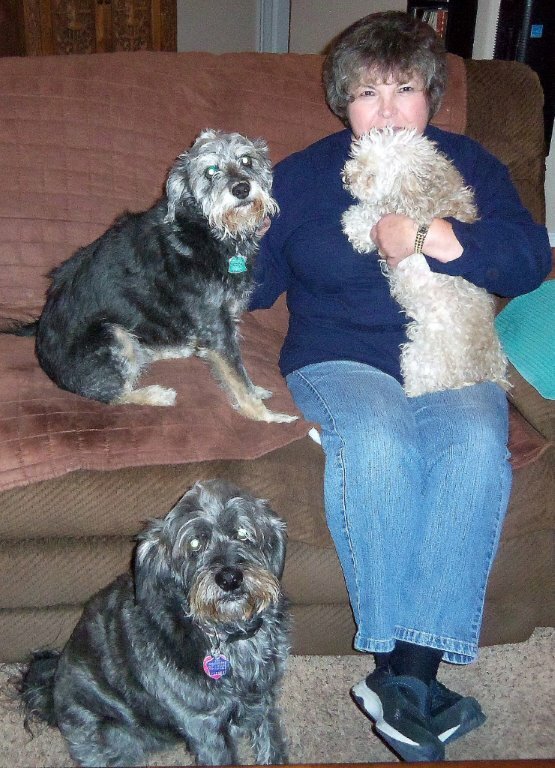 We currently have four rescued dogs as part of our family and one senior foster dog. Our two cats are in the minority but seem to thrive on the excitement. I have been with WCFA for many years involved with accounting, fostering dogs, pet adoptions, creating adoption flyers, forms and brochures, writing fundraising letters, grant writing, fundraising events, admin responsibilities such as our spay/neuter assistance program, managing Trap-Neuter-Return, co-managing our FaceBook and website pages and whatever else needs to be accomplished in a small rescue. I love having dogs in my life and have rescued and fostered many dogs for WCFA. Many of my fosters enjoy regular hikes and play time at the river with my dogs. Currently sharing my home are senior rescue dogs Max, Axel and Emma and on a regular basis foster dogs waiting for their new forever homes. For as long as I can remember, animals have been a comfort in my busy life. I was born in PA and spent many of my early years on a neighbor's farm. After college/nursing school, I lived in a rural area on my own farm where I raised horses, goats, cattle and numerous dogs and cats. I became part of a group of people who worked to bring about a much needed animal shelter to that area. After working as an operating room nurse in hospitals and surgery centers as a permanent staff member, and a travel nurse for 38+ years, I retired, and now spend my time doing volunteer work with and for animals. As a member of We Care for Animals, I am currently serving as secretary. The Mesquite Animal Shelter keeps me very busy where I am the Transport and Co-Volunteer Coordinator. When friends opened the Scenic, AZ Satellite Adoption Center for a nationwide organization, Peaceful Valley Donkey Rescue, it supplied me with yet another opportunity to be involved in the welfare of animals. I do PR and help at public events for the Center. My husband, Tony, never knows what animal may be visiting our home or for how long. It could be a day; it could be weeks. But whatever time is needed, they are welcomed as one of the family. I have always loved animals. I joined WCFA in Feb 2004 and started volunteering at the Mesquite Animal Shelter after settling in Mesquite with my husband, Carey. I am still involved there as a Volunteer Co-coordinator, which involves, among other things, training new volunteers. In the 1990's, my black lab, Lady, and I were involved in a Pet Therapy program in Calgary, Alberta visiting nursing homes on a monthly basis. I got more involved in animal rescue in Simi Valley, CA in 2000 after Carey was transferred there with his company. 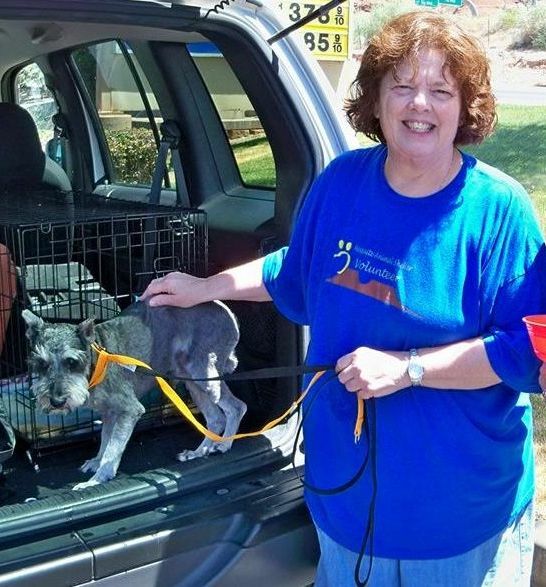 It was with this animal rescue group that I learned to use Petfinder and subsequently set up accounts for both the Mesquite Animal Shelter and We Care for Animals. I have been heavily involved in WCFA's rummage sales and help with pet adoptions when I can.